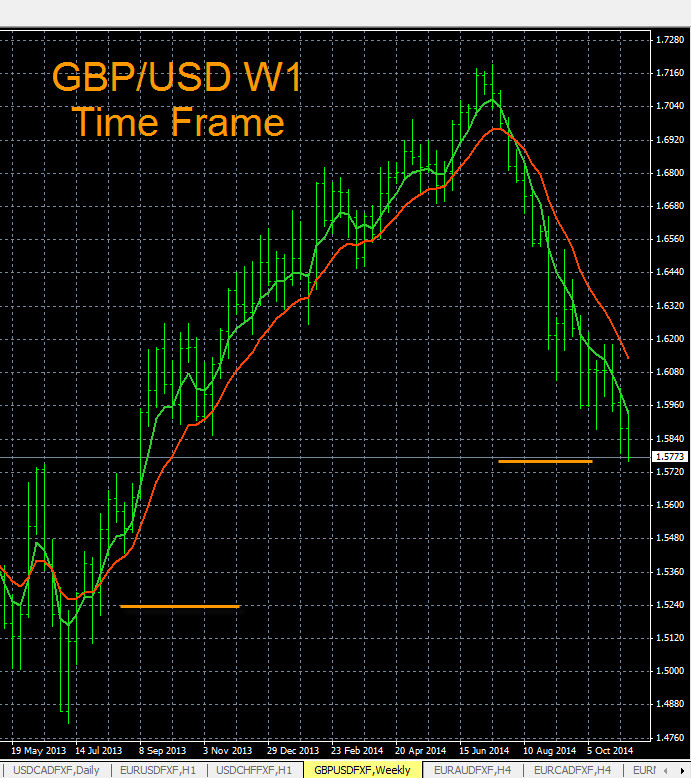 This a chart of the GBP/USD on the W1 time frame. This trend is still new and has plenty of upside potential. Traders should set a buy alarm at 1.4725 on this pair. When the alarm hits check The Forex Heatmap® for a confirmation buy signal. The W1 trend is still forming so the upside potential is up to the 1.5150 resistance, or possibly much higher. 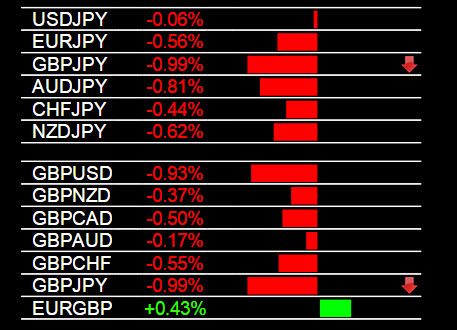 The GBP is strong on all pairs right now based on an analysis if the trends by individual currency. Also, there are GBP (British Pound) and USD (US Dollar) news drivers tomorrow morning in the main session, so this trend could continue building tomorrow in the main forex trading session. These trade charts are easy to set up for all 28 pairs and the analysis techniques are available at Forexearlywarning.com for any trader. The GBP/USD is trending down on the larger time frames, like the MN time frame shown below. You can set a price alert at 1.3880 on this pair, see the yellow line on the left. When the alert hits check for a sell signal using The Forex Heatmap®. The next support area we see is at 1.3650, but most of the historical support is now broken, and we believe this pair could move lower. The red and green trend indicators are 5/12 exponential moving averages. For forex market analysis we apply these moving averages to multiple time frames for trend analysis, by individual currency groups. This is the most thorough analysis technique for the forex market. Today in currency trading the GBP/USD sold off. The GBP (British Pound) was weak on all pairs after the manufacturing production output news in the main forex trading session. The USD also had some strength, so the GBP/USD sold off. This pair is in a strong down trend, however we are not able to tell exactly where the next major support level is on this pair so we would scale out some lots on any sell trades, and move your stop to break even on the remaining lots. The trend is strong enough for this pair to continue much lower. The currency strength indicator you see below is The Forex Heatmap®, which provides live trading signals for 28 currency pairs. 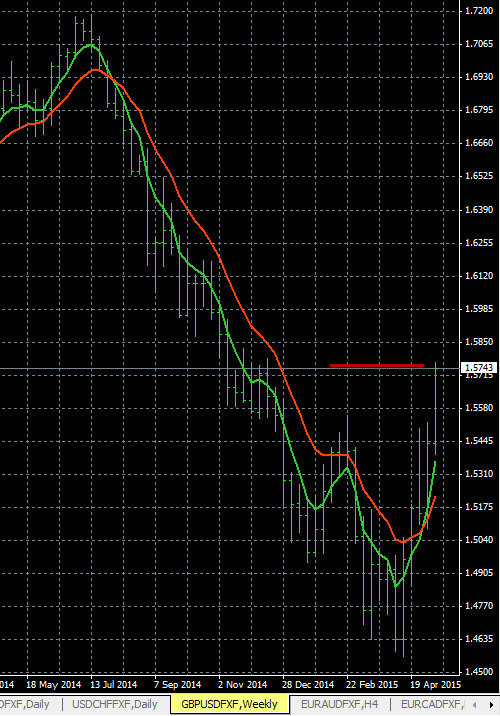 It works well after economic news drivers to show you what pair to trade, we use this indicator to assist with trade entries on 8 different currency groups including the GBP pairs. 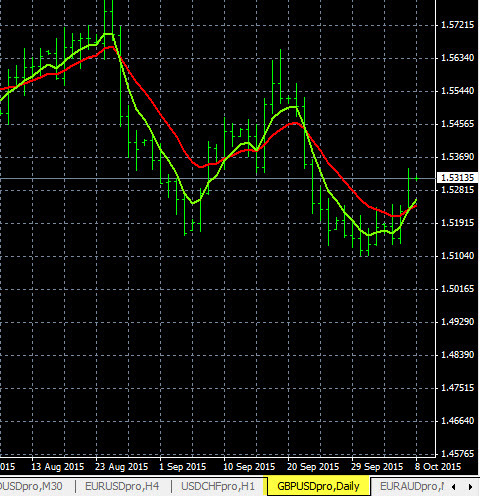 The GBP/USD currency pair is trending up on the W1 time frame. The analysis indicates that the current resistance is about 1.5750. You can set a price alert there and above that price look for a buy signal on The Forex Heatmap®, to confirm any buys. The 1.5750 area is denoted by the red line. The analysis of this pair was done with some simple trend indicators available to any forex trader, they are exponential moving averages. Then we use multiple time frames by individual currency to perform the analysis. 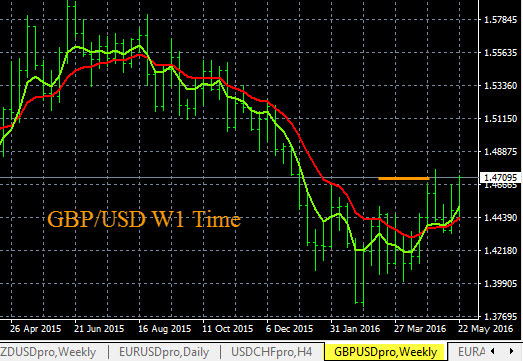 The GBP/USD chart shows that this pair is currently trending down on the largest time frames, like the W1 and MN time frames shown below. Current support level is around 1.5760, shown by the yellow line on the right. You can set a price alert here on your trading platform. When the alert hits check The Forex Heatmap® for a sell signal. Below there we see no nearby support, so the overall pip potential is excellent. 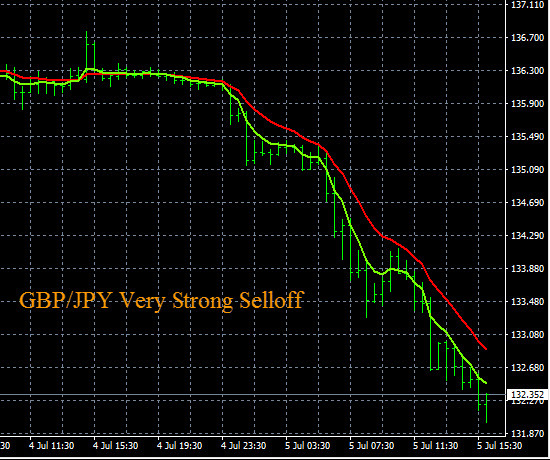 The chart analysis on the GBP/USD was performed with moving averages using multiple time frame analysis. Today after non-farm payrolls the USD (US Dollar) strengthened on all pairs. The employment change was 248,000 jobs versus 216,000 forecast, which is good for the USD. Job creation is an important leading indicator of consumer spending, which accounts for a majority of overall economic activity. This news drove price movement on all seven of the US Dollar (USD) pairs we track. 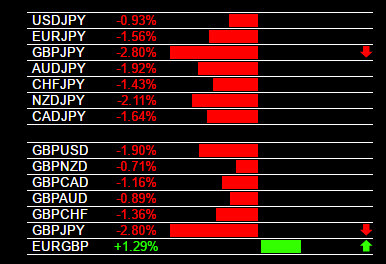 Some pairs like the USD/JPY and the NZD/USD moved fairly strong today, but these pairs are not trending and remain range bound. Other pairs like the EUR/USD and GBP/USD broke through support levels on the USD strength and are continuing downward in there existing trends, they should continue trending down. The USD strength indicators you see below is The Forex Heatmap®, which provides real time trading signals after news drivers like non-farm payrolls. World economic news events like nonfarm payrolls generate price movement and traders can use tools like the heatmap to generate trading profits from the USD pairs or any of the 28 pairs we follow.